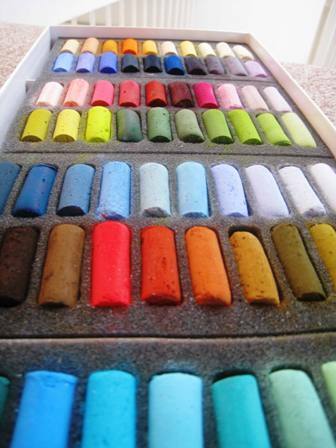 ..how much of a buzz I get from these beautiful, new, soft pastels that are finally mine. As of a few hours ago. I have been eyeing them off in my local art shop (Gill & Hille in you’re in the area) for weeks now. Decided I needed them as tomorrow has been declared “Pastels Day” (for those who aren’t aware..) so I will be spending 8 hrs or so with these new buddies. 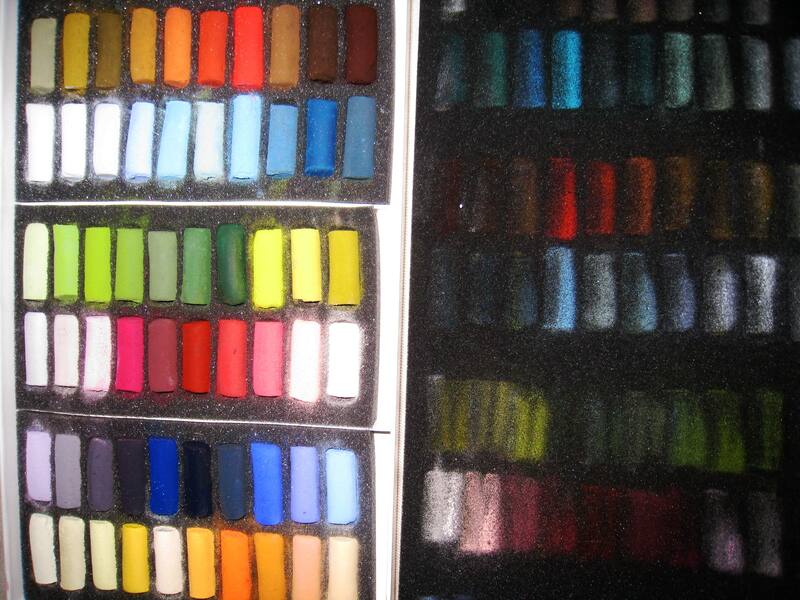 Part of the purchase justification was that they were a Plein Air set of half-pastels which would be a really good way to get a heap of suitable shades for my rural cloudscapes. So there, now I have no more excuses.. hope to show you some new studies soon. P.S. Gill & Hille is run by Juanita Gill-Hille and her husband Murray Gill and it is one of my favourite shops. Thanks J. Just about to post some pics of my new paintings. Hope you like them. Working on a new cloudscape at the mo, but it’s not finished yet. Thanks my love – it was heaps of fun! Congratulations to your blog! 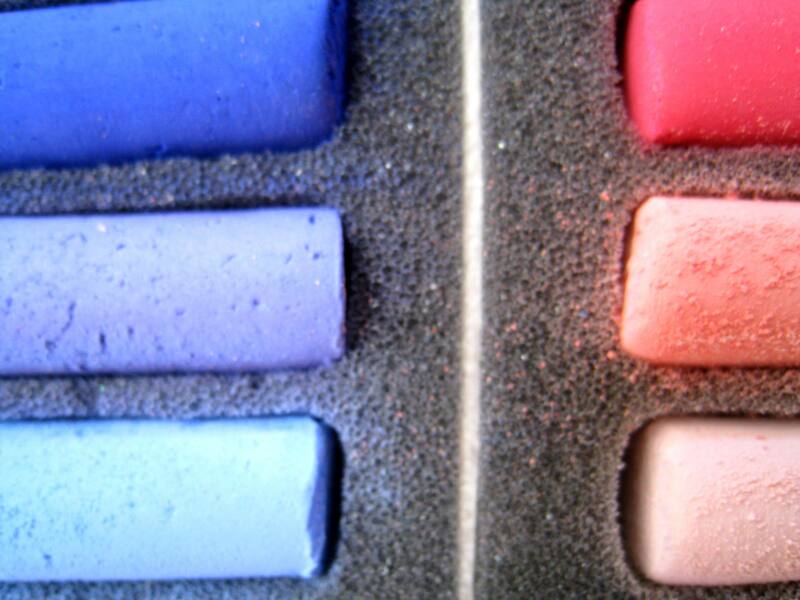 I love the colours of your pastels, makes me want to paint (unfortunately I am rubbish at painting). Looking forward to get news from you, good luck! Thanks for that 🙂 You don’t need to worry about painting – you create beautiful colourful pieces with fabric! Very clever. Did you get my e-mail re the Sewing Class flyer? What did you think? Hope you like the new pics I will post now.